So, what actually happened and when? In 1915 there were about 2 million Armenians living in the Ottoman Empire (Turkey) where their ancestors had lived for 3000 years. They were both an ethnic and religious minority in the Muslim-ruled country. (Armenia, when it was independent, was the first country to make Christianity its official religion.) The Turkish government wanted a solution to the “Armenian problem” so they decided to force them from their homes and send them into the Syrian Desert without food or water. It began on April 24 of that year. 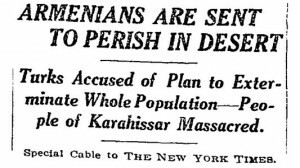 On that day the government arrested and executed several hundred Armenian intellectuals – many Armenians were well-educated business owners, lawyers, doctors, and craftsmen, in contrast to the majority Turkish peasant farmers – and the rest were given a choice of walking until they dropped dead of exhaustion and exposure or stopping walking and being shot dead on the spot. The military weren’t the only ones to get to join in the mass murdering fun. Killing squads made up of murders and ex-convicts went about crucifying (literally), drowning, and burning Armenians. They raped the women and kidnapped children, converting them to Islam and giving them to Turkish families. The children were given new Turkish or Arabic names and were beaten if they spoke Armenian. In May, the Ottoman government began confiscating “abandoned” Armenian property. This resulted in a lot of property seizures since people were not allowed to take anything with them nor were they allowed to sell it before they left. Ancient cities were leveled and all traces of Armenian culture was destroyed. The genocide didn’t end until 1922. During those years the Armenian population in Turkey went from a couple million to fewer than 400,000. 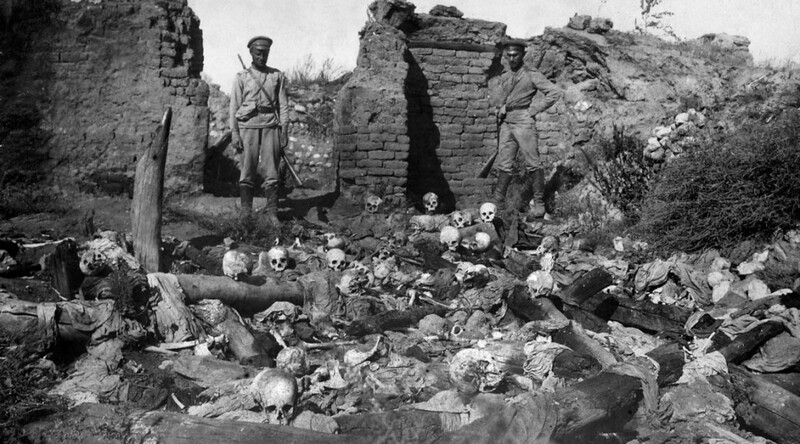 The architects of the Armenian Genocide fled to Germany which promised not to prosecute them for their crimes. 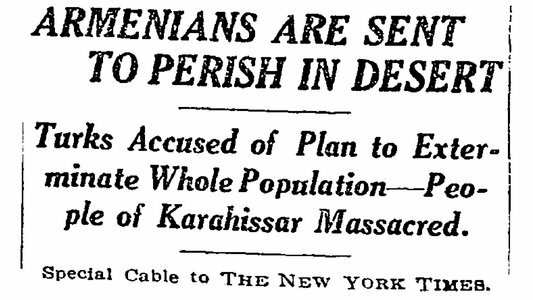 They were later located and assassinated by Armenian activists. 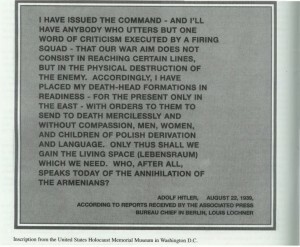 If you see similarities between the Armenian Genocide and the Holocaust, you’re not imagining it. 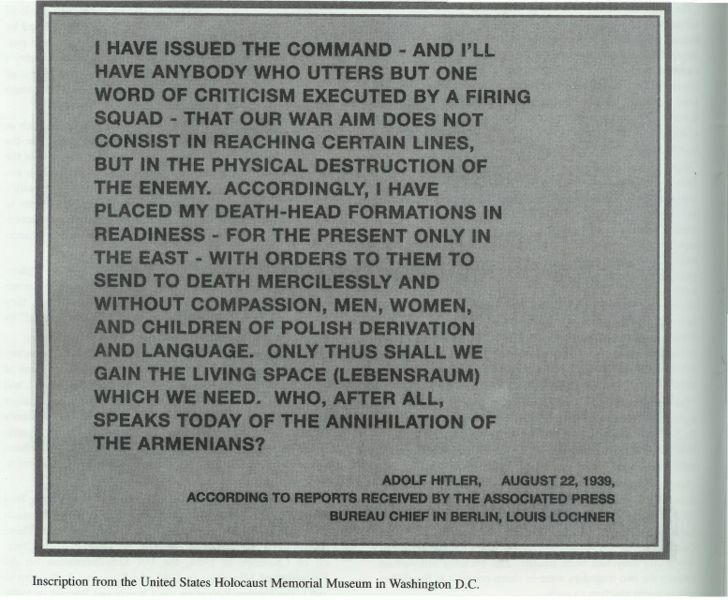 Hitler saw how little was done by other countries to come to Armenia’s aid and used it as a guideline for his own genocidal plans. Previous PostFirst NBA All Star Game?Next PostLargest Mass Shooting in the U.S.?